From CBC News late yesterday (28 February 2019) comes the news that a polar bear seen skulking around the homes of a small coastal town in Labrador this week has had residents on edge and authorities on high alert. If tragedy struck, the St. Lewis road was blocked by snow and the only way in or out was by helicopter. Message: polar bears are highly dangerous and a bear prowling a community is a very real threat to safety. This bear visited Black Tickle in Labrador a few years ago. Edwin Clark photo. According to a CTV News follow-up, while the road to St. Lewis was cut off because of a recent snowstorm for most of the week, wildlife officers were able to get in today (Friday 1 March). Sighting about 100km north in Charlottetown earlier in the week are believed to be the same bear. 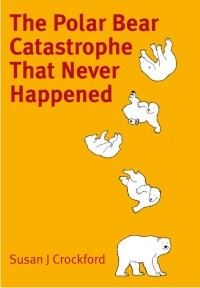 The last sighting of the animal was Thursday morning (28 Feb), so the bear may now have left of its own accord. No one seems to have captured a photo. 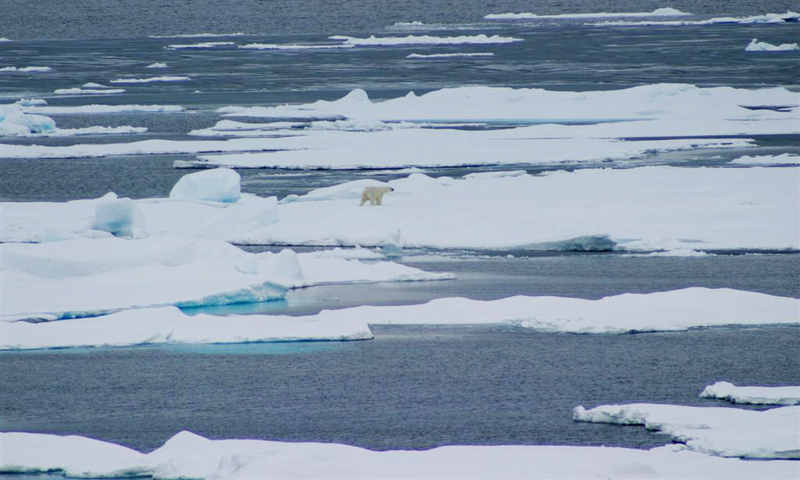 However, the fear felt by residents of St. Lewis (population 200) in this story is palpable, especially after the terrifying visuals from the well-publicized invasion by more than 50 polar bears at Belushaya Guba on Novaya Zemlya last month. St. Lewis is located at the red marker; Charlottetown is the third town to the north. Both are just north of the Strait of Belle Isle that separates Labrador from the island of Newfoundland. 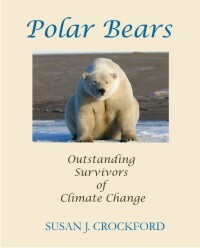 My last post, on the up-coming International Bear Conference in Anchorage, presents the perfect backdrop for highlighting a wonderfully unbiased review of my polar bear attack thriller, EATEN, penned by a prominent Canadian polar bear researcher who is utterly convinced that future sea ice loss is the biggest threat to the species (and a former student of the grand-daddy of all polar bear researchers, Ian Stirling). His detailed thoughts on the book below. 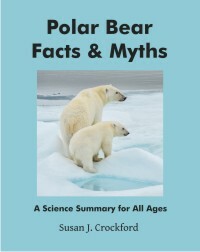 It’s still based on the same flawed ecological premise as all previous models – it assumes that sea ice was a naturally stable habitat until human-caused global warming came along. It also uses slight-of-hand maneuvers to correlate declining summer sea ice and declining polar bear population numbers. Just because they keep repeating the same hype doesn’t make it true.